Medical micro needling (collagen induction therapy) is a great, very natural anti-aging treatment that helps the skin to help itself. Instead of injecting substances into the skin, this treatment only involves a needle roller (dermaroller) or an advanced automatic device (skin pen), equipped with sterile, ultra-fine needles. Medical micro needling mechanicallyl mimics the effects of fractionated laser technologies by creating microscopically small punctures in the dermis, where our collagen lives. This intentional injury induces thousands of tiny, controlled wound-healing responses in this deep layer or skin. Consequently, growth factors and fibroblasts are stimulated into synthesizing new collagen. In time, this will lead to a firmer, more elastic skin with more refined skin surface. As we get older, our collagen production slows down. 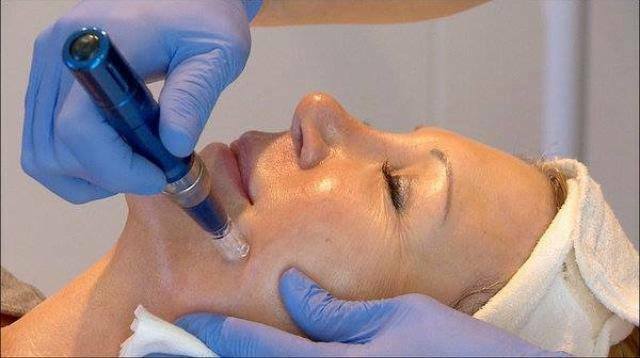 With medical micro needling, we give the skin a gentle nudge to remind it to keep making fresh collagen. Medical needling is not a single treatment, but has to be done in a course of three to six sessions at 4 to 6 weeks apart to reach maximum improvement depending on what conditions are being treated.The procedure is performed after an application of numbing cream to ensure comfort during the procedure. For even better results, hyaluronic acid and/or PRP are combined and utilized during this procedure to further stimulate collagen production. Best of all, the results are permanent!